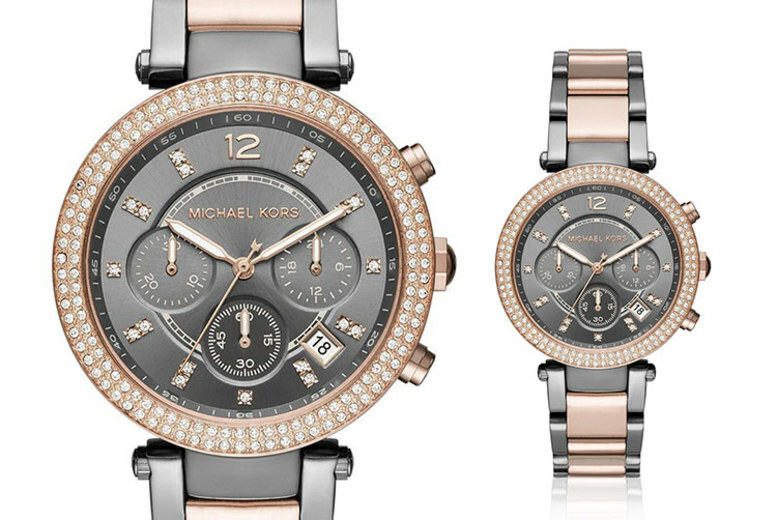 Get a ladies’ Michael Kors MK6110 watch. 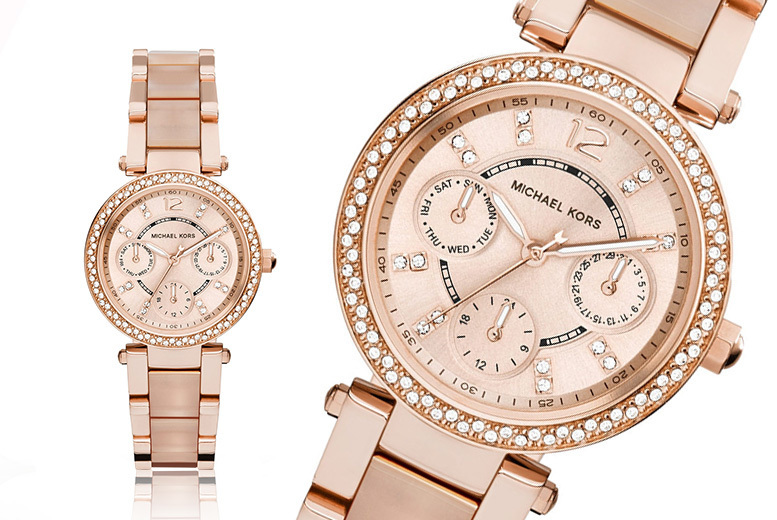 Elegant rose gold-plated design with a diamante-encrusted bezel. Perfect for everyday wear, bringing sparkle to all occasions. Feminine rose dial with three subdials and quartz movement. The perfect gift for a special lady. 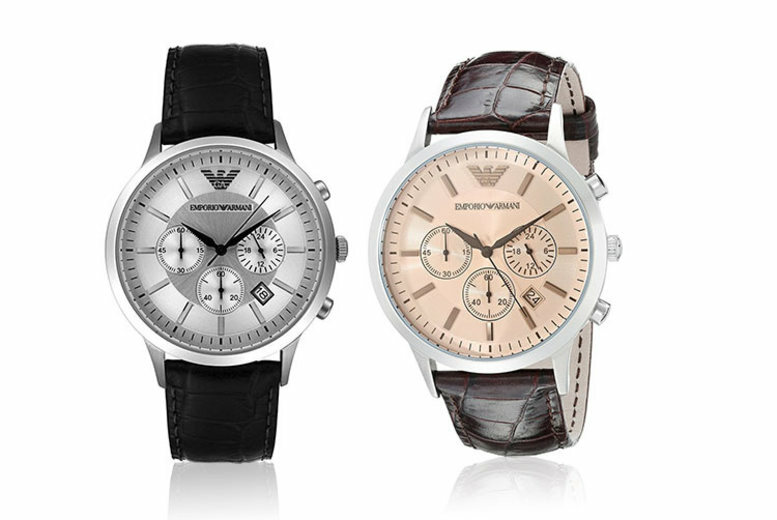 Get an Emporio Armani watch! Stainless steel casing is as durable as it is stylish. Classy cream or brown dials complete with date window. Hard-wearing and classy croco-embossed leather strap. Smooth quartz movement and water resistant up to 5 ATM. Choose from two gorgeous designs and get it in an Armani box. 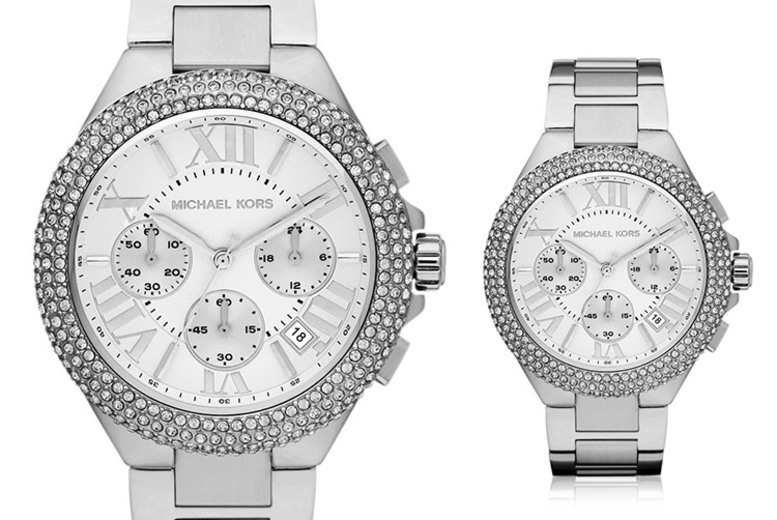 Get a gorgeous ladies’ watch from Michael Kors. Round 43mm bezel accented with dazzling crystals. Set in a stylish stainless steel bracelet. Light silver-coloured chronograph dial with tonal Roman numerals. Water resistant to up to 100 metres! Get a ladies two-tone smart class Swiss watch. Displaying an elegant combination of rose gold and silver tones. Comes in its very own stainless steel case. Get a stunning MiniChic ladies’ watch. Features a beautiful mother-of-pearl dial. In a rose gold-plated stainless steel dial. Finished off with a white ceramic strap. A great gift for her! 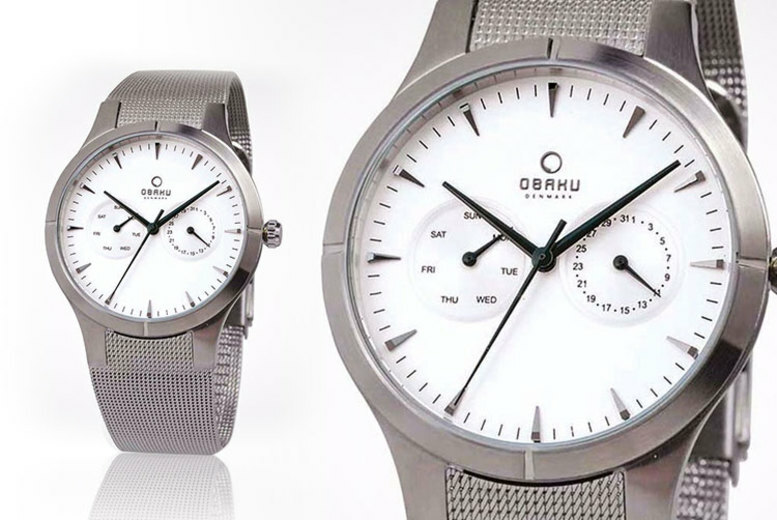 Get an Obaku V100GCIMC men’s quartz watch. With a white dial colour and silver tone casing. Made from stainless steel with a metal strap. Featuring a water resistance of up to 30m. Also shows the date on watch face. 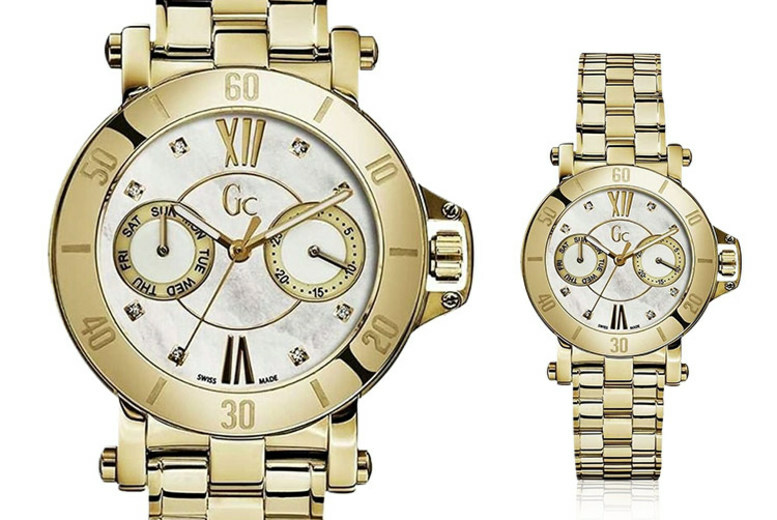 Get a beautiful ladies’ watch from the Guess Collection. Features glittering crystals at the number markers. With day and date subdials in a mother of pearl dial. 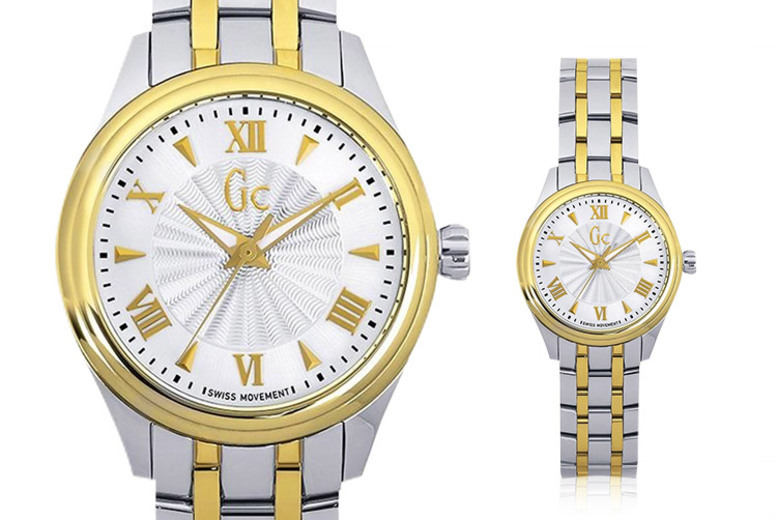 In a gold-plated stainless steel case and matching bracelet. Presented in a stunning box. 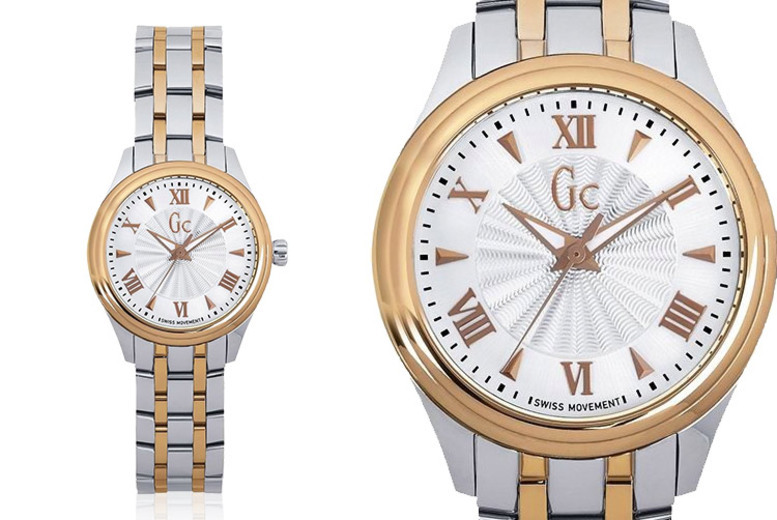 Get a two-tone ladies smart class Swiss watch. Featuring a sophisticated gold and silver design. 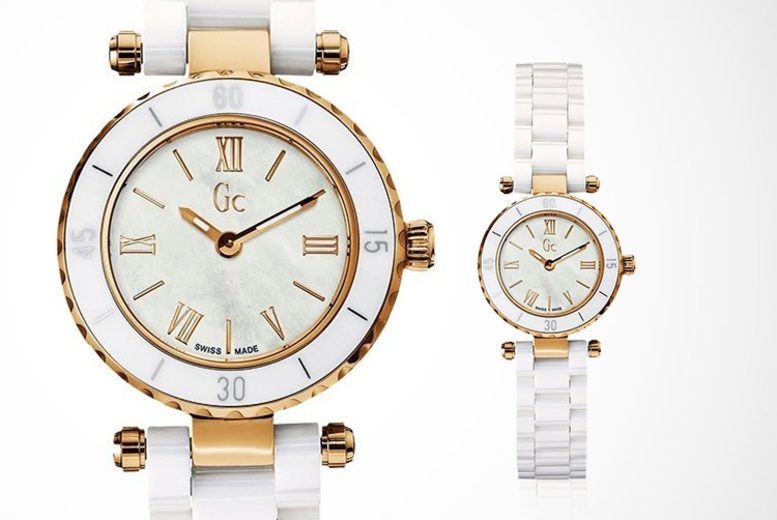 With an elegant white dial, for a chic touch to a lady’s outfit. And a timeless metal bracelet. Perfect as a gift for a loved one or as a treat for self. Get a deal to dial for with a gold-plated Emporio Armani AR1983 men’s watch! 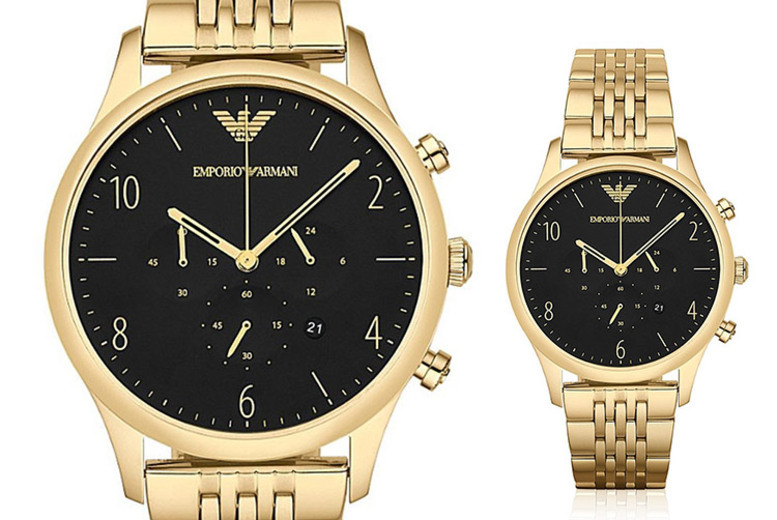 Get a gold-plated men’s watch from Emporio Armani. With three subdials and a date display. Water resistant to up to 50 metres. Presented in an official Emporio Armani box. Get a ladies Michael Kors watch! Chronograph watch with three sub dials. With gorgeous two-tone grey and rose strap and dial. Made from stainless steel and powered by quartz movement. The perfect gift for a classy girl!